So, you say you’re a fan of KISS, of Alice Cooper, Marilyn Manson, Slipknot, Skinny Puppy, Nine Inch Nails, Lady Gaga and any other of the scads of shock rocking musicians who have screamed across the pop culture landscape these past 50 years? 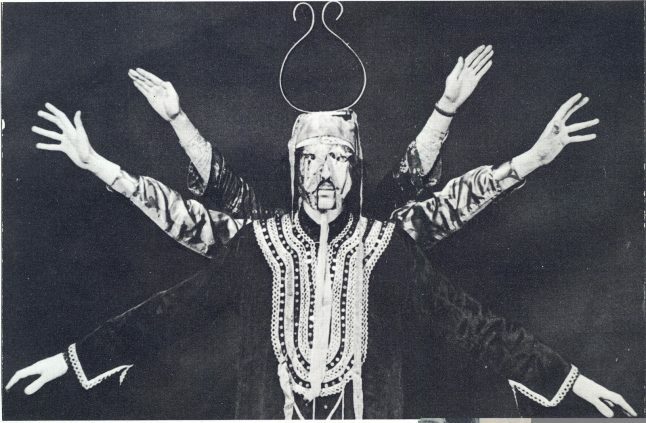 If that’s true then hopefully you’re aware that all of these acts owe their splatter to the one and only Arthur Brown. UK psychedelic performance artist and rock legend Brown, The God Of Hellfire himself, will be celebrating fifty years since releasing the debut single “Devil’s Grip,” which helped shape the British and worldwide psychedelic and theatrical rock movement. 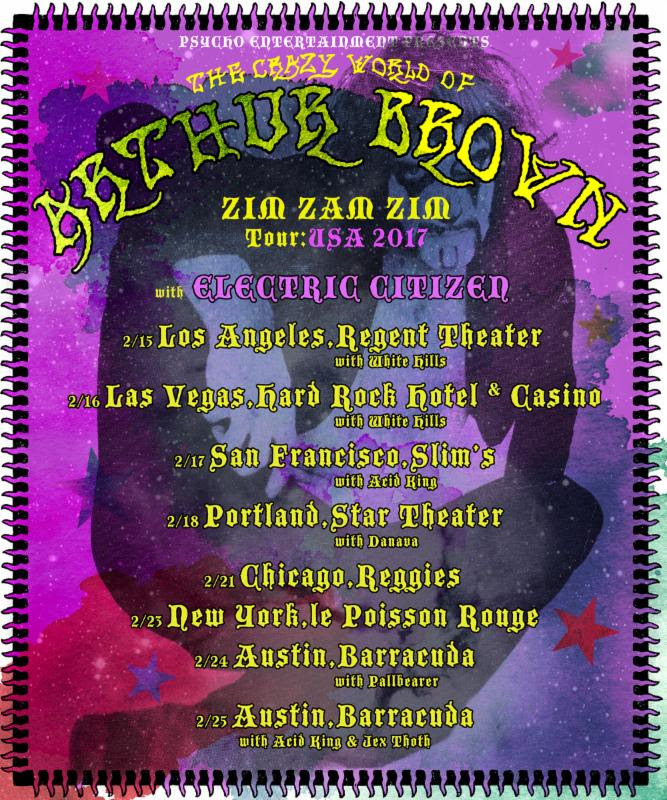 After a highlight performance at Psycho Las Vegas 2016, hugely influential Brown and his band, THE CRAZY WORLD OF ARTHUR BROWN, announces their 2017 Zim Zam Zim tour marking their first run of live performances since 1969. Zim Zam Zim takes its name from THE CRAZY WORLD OF ARTHUR BROWN’s latest album, released in 2014. They’ll be joined on this landmark trip by Ohio rockers Electric Citizen, and shows will feature generational sonic offspring like White Hills, Acid King, Pallbearer, Danava, and Jex Thoth. For more on the insane world of Brown and to follow the tour hit his official website and Facebook page.